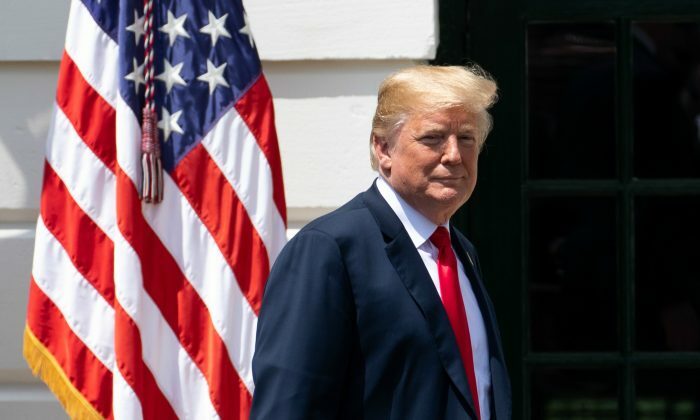 President Donald Trump imposed additional sanctions on Venezuela on Monday, May 21, shortly after socialist dictator Nicolas Maduro won an election that senior American administration officials called a sham. Trump signed an executive order aimed at blocking Maduro’s latest scheme at siphoning Venezuela’s wealth, namely by selling accounts receivable held by Venezuela’s government. A senior American official described the practice as a way of selling the nation’s future, whereby an investor can buy the asset (future receivable owed to the Venezuelan government) for pennies on the dollar today. The executive order specifically prohibits any U.S. citizen from buying any debt owed to the government of Venezuela. Americans are also prohibited from accepting Venezuelan government debt as collateral for loans and other types of financing. Similar restrictions apply to entities in which the socialist regime owns a majority stake. The Lima Group nations also pledged to reduce diplomatic relations with Venezuela and said that they will summon their ambassadors from Venezuela to express their protest. In a background call with reporters, senior American officials praised the Lima Group nations for the statement. Monday’s sanctions are the third wave of actions by the Trump administration aimed at the socialist regime. Most recently, the United States prohibited all transactions linked to the oil-backed Venezuelan cryptocurrency called the “petro.” On Monday, Senior American officials decried the petro as a Ponzi scheme to enrich the ruling socialist elite. Prior to the ban on the petro, the United States also prohibited certain other financial transactions. All of the actions are aimed at thwarting the rampant kleptocracy of Maduro and the ruling class. Senior American officials described the current situation in the failing state as a “firesale” with the ruling elite selling “anything that isn’t bolted down,” while the vast majority of Venezuela’s citizen live in abject poverty. 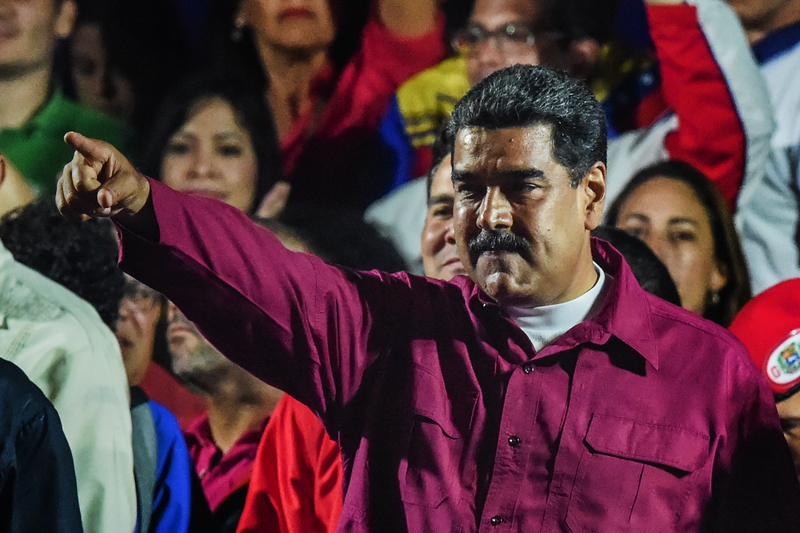 According to data from the Maduro-controlled National Electoral Commission, 5.8 million Venezuelans voted to re-elect the dictator for another six-year term. A total of 8.6 million voted in the election out of the 20 million who were called to the polls, marking the lowest turnout rate in the nation’s history. But even that number has been inflated, according to observers in opposing campaigns. The campaign of Javier Bertucci, who received 925,000 votes, told the El Nacional newspaper that it had documented 380 instances of election fraud. Meanwhile, the campaign of Henri Falcon claims to have documented 142,589 instances of election fraud with 91,700 witnesses backing up his account, according to ABC Internacional. Falcon refused to accept the result of the election. Even if there was no fraud at the ballot, the United States and the Lima Group would not recognize the election as legitimate. Prior to the election, Maduro has banished major opposition parties, imprisoned his opponents, and destroyed press freedom while using hunger as a tool to control the starving nation. Senior American officials say that Maduro’s operatives had set up tables near voting sites and offered money and food for votes, a practice Maduro used in prior elections. Neighborhoods which didn’t vote for Maduro in the past were punished and cut off from funds and aid, the officials said. The American sanctions are aimed at curbing Maduro’s behavior, senior officials said. The ultimate goal is to pressure the socialist regime to hold free and fair elections, allow humanitarian aid to enter the country, release political prisoners, and recognize the National Assembly. Venezuela holds the world’s largest oil reserves and was once one of the richest nations in South America before Maduro and his predecessor turned it into a textbook example of the failures of socialism. In early 2017, 93 percent of Venezuelans said they didn’t have enough money to secure three meals a day, according to a survey organized by three national universities. Conditions there have gotten worse since. Senior American administration officials pointed out on Monday that Venezuela is being propped up by the communist regime in Cuba. Nearly 92,700 Cuban communist proxies work in Venezuela’s government apparatus, according to Congressional testimony by a retired Venezuelan military official. Trump is a vocal opponent of socialist and communist ideologies and has pointed to the crisis in Venezuela as an example of socialism’s failure.